Increase your company's profitability and productivity through systematic improvement of physical asset performance. Physical asset intensive companies must improve productivity and profitability to maintain and increase their level of industry competitiveness. Today's companies require asset performance management (APM) with a comprehensive approach, in step with the information and communication technology trends that are central to the so-called fourth industrial revolution. RMES Suite is an APM platform that adapts to each organization and defines processes that enhance the human resource, allowing the implementation of best practices in the management of physical assets. RMES Suite is asset performance management (APM) software that combines a range of processes from automatic data capture to online visualization of results, analysis and opportunities for improvement. RMES Suite interface for integrating maintenance information sources (EAM, CMMS and ERP systems, among others) and operational (DCS and SCADA systems, among others). This information is periodically debugged in the module, synchronized and consolidated in a single central repository. 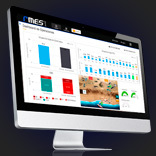 RMES Suite server that functions as a KPI calculation engine for each plant or fleet, using the consolidated information. This information can be accessed via web services and other web client applications. The component also features functionalities for authenticating each RMES Suite user, according to certain privileges. Front end for interactive visualization of calculations processed with RMESserver. This visualization is based in three level: Strategic, Tactical and Operational. 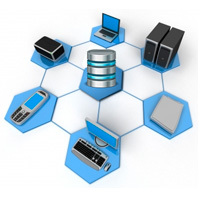 RMES Suite Enterprise system databases for storing both operational information of assets and result of calculations and analysis.